Russian composer Sergei Rachmaninov’s four piano concertos are about as big as they come – epic themes, sweeping Russian melodies and a pianistic virtuosity equal to the composer’s own skill at the piano. 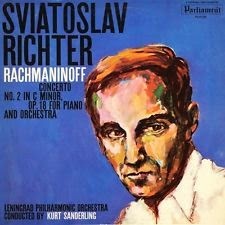 That said, his Piano Concerto No.2 is often described as the greatest piano concerto ever written. Rachmaninov composed this work in 1900, and played the first complete performance on November 9, 1901, with Alexandre Siloti conducting the Moscow Philharmonic Society. He suffered a shattering career crisis in the 1897 massacre of his First Symphony in St. Petersburg, by its first conductor, Glazunov, who was reportedly disablingly drunk -- a fiasco the critics en masse, led by César Cui, laid at the composer's feet like an animal carcass. The audience -- ever mindful that Rachmaninov had been expelled in 1885 from the local temple of musical instruction -- listened stonily, glad for the failure of a young lion schooled elsewhere (in Moscow, he completed the Conservatory course in 1891, and graduated a year later with highest possible grades). Because of the failure of the Symphony No. 1, Rachmaninov began to drink immoderately. Believing himself unfit to compose, he tried concentrating on parallel courses as a concert soloist and opera conductor, but embroiled himself in a love affair that ended very badly. By the end of 1899, he was an alcoholic whose hands shook, imperiling his keyboard career. Between January and April 1900, Sergey Vassilyevich saw Dr. Dahl, a Moscow specialist in "neuropsychotherapy," daily, and was urged under hypnosis to compose the new piano concerto that a London impresario was asking for. Trance therapy roused the composer from his lethargy; indeed, he worked with great facility on an excellent new concerto -- the Second, in C minor, Op. 18 -- dedicated to Dr. Dahl in gratitude. Never again in the remaining four decades of his life was Rachmaninov immobilized by depression, despite several convulsive changes of fortune. Luckily, the composition of his Piano Concerto No. 2 marked his full recovery, and it's a good job he took his time over it: every memorable phrase, swelling cello line, and weighty piano chord is beautifully placed to create a musical masterpiece. Glorious melody after glorious melody flows from the keyboard; the dialogue between orchestra and soloist is divine; and Rachmaninov undoubtedly had a hit on his hands. The music is both virtuosic and lyrical all at once, with the piano and orchestra taking it in turns to caress the heavy Russian melody. With the bell-like chords in the opening movement, the serenity of the arpeggios in the second, and the confident drive of the third, it's easy to presume this piece was the work of a an assured, confident composer, whereas the truth was very different. If, when listening to the sublime second movement, you think you might have heard the tune somewhere else before, take a listen to the power ballad 'All By Myself'. The song was based on Rachmaninov’s melody.